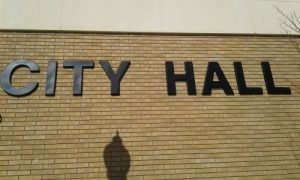 WATERTOWN, S.D.—The Watertown City Council meets tonight to tackle a liquor license fee question once again. At issue is how much to charge a full service restaurant for a liquor license. A full service restaurant is defined as one that derives at least 60-percent of its total revenue from food sales. At a council meeting two weeks ago, the council delayed a decision on whether to set the fee at $100,000, after getting pushback from the men who hold liquor licenses at Foxy’s Casino and Lone Pine Bar and Grill. They contend the proposed $100,000 fee is too cheap, and devalues the licenses they now hold. The license fee for full service restaurants has been set at $205,000, but none have been sold at that amount. Also tonight, the council is expected to approve a ten year sponsorship agreement between Active Heating and the Prairie Lakes Wellness Center, and sign an agreement with a Twin Cities architect that’s drawing up plans for a new airport terminal in Watertown.